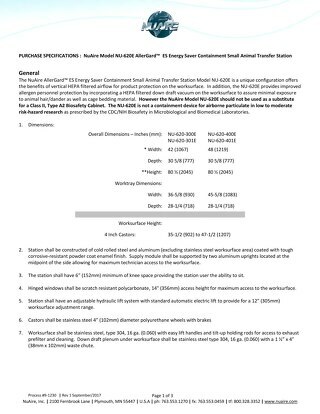 Product specification for 115-volt LabGard models NU-677-400, NU-677-500, and NU-677-600 Class II, Type A2 Animal Handling Biosafety Cabinet (BSC). 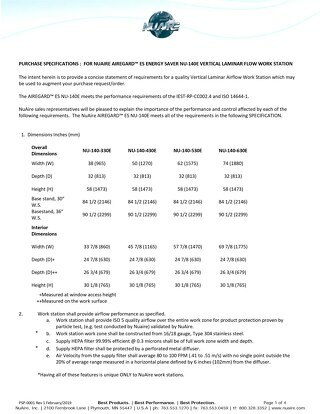 Product specification for benchtop style AireGard model NU-140E Vertical Laminar Airflow Workstation (LAFW) 230-volt. 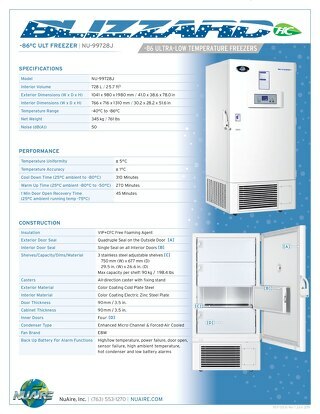 Product specification for Blizzard Ultralow Freezer (ULT) model NU-99420J. 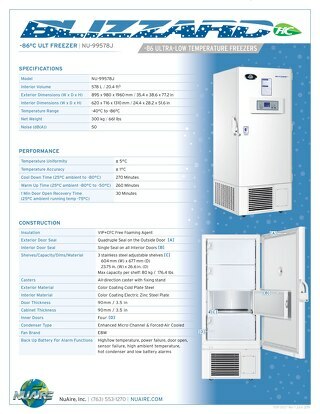 Product specification for Blizzard Ultralow Freezer (ULT) Upright model NU-99338J. 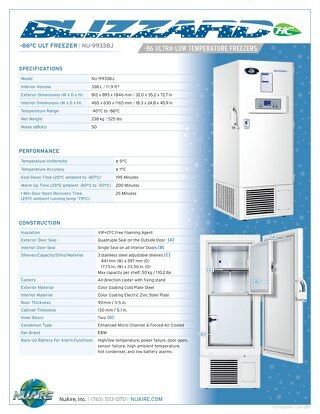 Product specification for Blizzard Ultralow Temperature Freezer (ULT) Upright model NU-99578J. 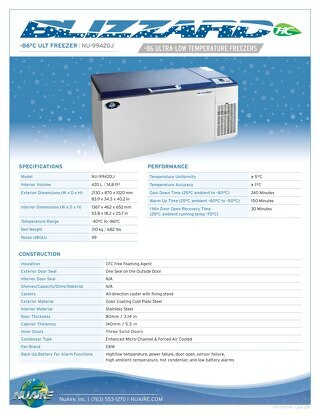 Product specification for Blizzard -86ºC Ultralow Freezer (ULT) model NU-99728J. 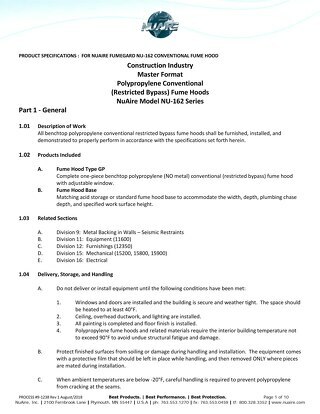 Product specification for Blizzard Ultralow Freezer (ULT) Upright model NU-99828J. 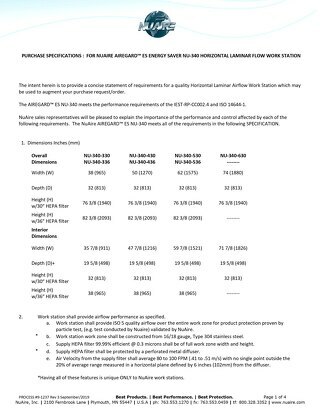 Product specifications for LabGard Class II Microbiological Safety Cabinet (MBSC) total exhaust model NU-560E (230V). 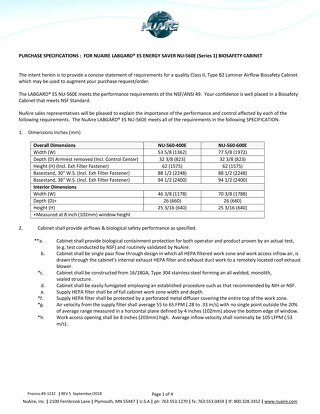 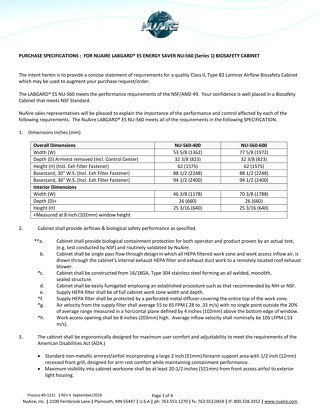 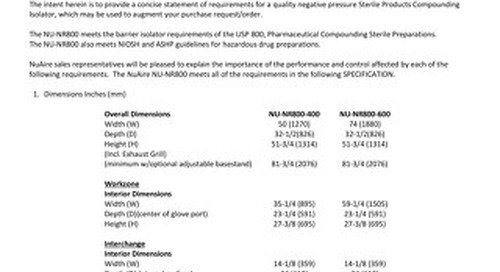 Product specifications for LabGard Class II, Type B2 biosafety cabinet (BSC) total exhaust model NU-560. 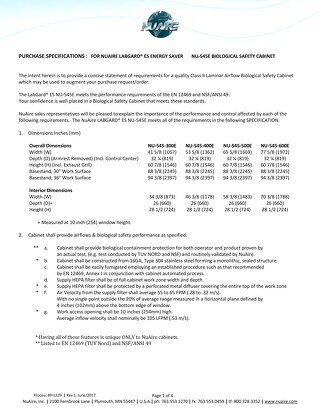 Product specification for LabGard HD (Hazardous Drug) model NU-581 Class II, Type A2 Biosafety Cabinet (BSC). 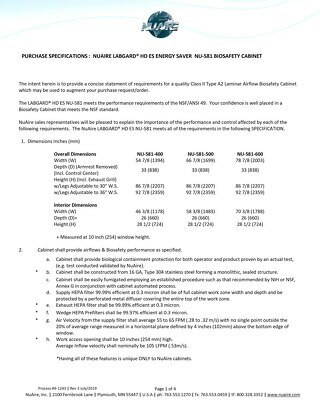 Purchase specification for console style AireGard Horizontal Laminar Airflow Workstation (LAFW) model NU-340. 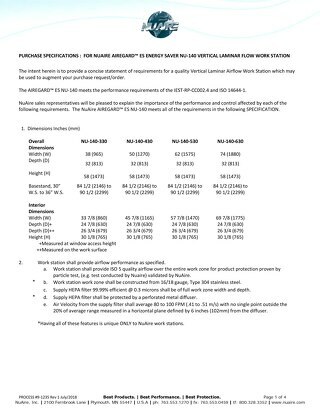 Purchase specification for bench top style AireGard Horizontal Laminar Airflow Workstation (LAFW) model NU-240. 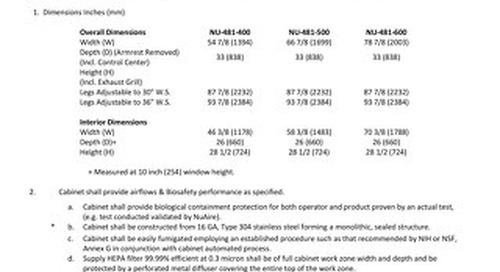 Product specification for 230-volt LabGard model NU-677 Class II Animal Handling Microbiological Safety Cabinet (MBSC) available in nominal 1.2, 1.5, and 1.8-meter widths. 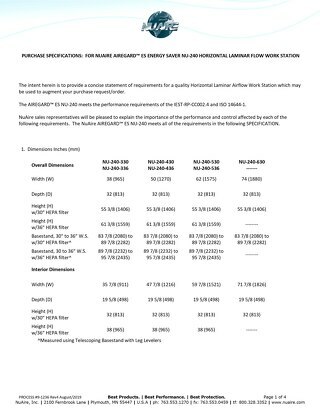 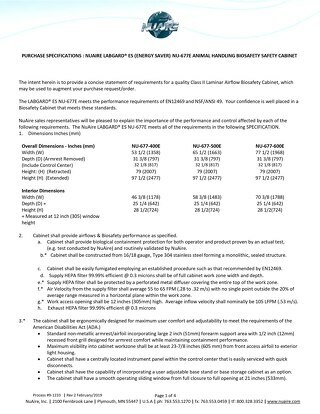 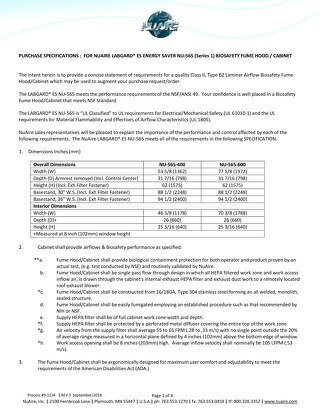 Product specifications for LabGard AIR Limited Class II, Type A2 Biosafety Cabinet (BSC) model NU-545. 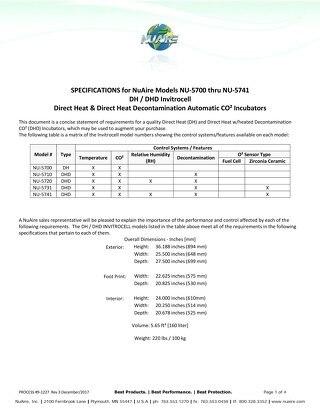 Purhcase specifciation for CO2 Incubator Series In-VitroCell NU-5700.